We had our first RV demo this past Saturday here in Plano. 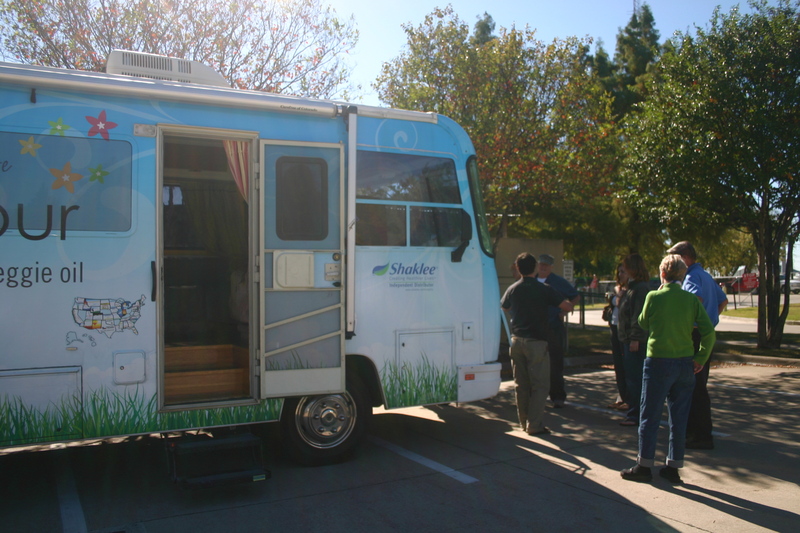 Deb Bliss, the Volunteer Coordinator for Live Green in Plano contacted us about speaking at their training class and giving our first RV tour. Live Green in Plano is a wonderful program the city offers to educate and promote awareness about recycling and conservation. The volunteer program gives free education to Plano residents who are willing to give their time helping out during various events throughout the year. How cool is that? We have been extremely impressed with the recycling programs and educational resources that Plano has to offer. Unfortunately, it doesn’t happen everywhere, but we hope that other cities can follow suit and become more active with recycling and reuse programs. Even just educating their communities about the importance of environmental care would provide healthier living for everyone. It was really fun to visit with the volunteers and was a great opportunity to talk a little bit about our mission and give a brief tour of the bus. You can see the photos of the demo here. We are attending Tyler Recycles Day in downtown Tyler,TX this Saturday, November 15th from 8-noon. Please come by and say hi and take a tour of the bus if you are in the area! Also, please let us know what creative things your community is doing to educate and promote greener living!